LINE@ accounts are special LINE accounts for your business or organization. Their wide range of features enable you to promote your company, brand, or product in new and far-reaching ways. 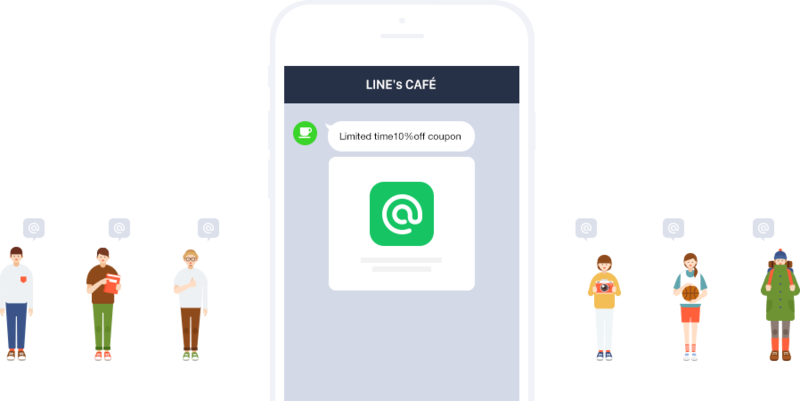 Create messages on the LINE@ mobile app or via the PC LINE@ Manager and broadcast them to customers and fans who have friended your account. Take advantage of built-in features like coupons and surveys to deliver rich content together with your messages. 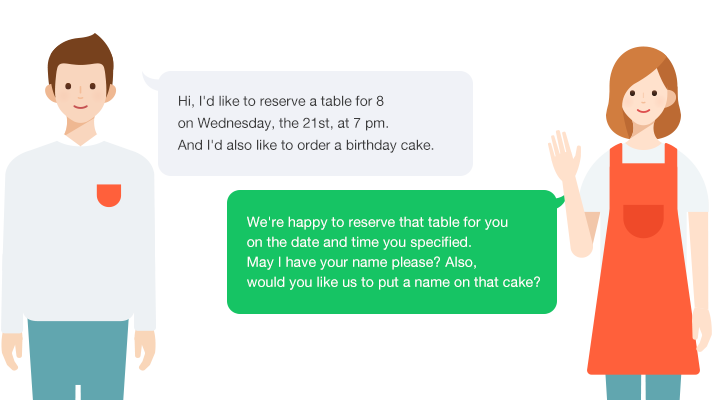 Reply directly to inquiries from LINE friends in real time, just like in a LINE chat. Respond right away, anytime, from anywhere, using your smartphone or PC. 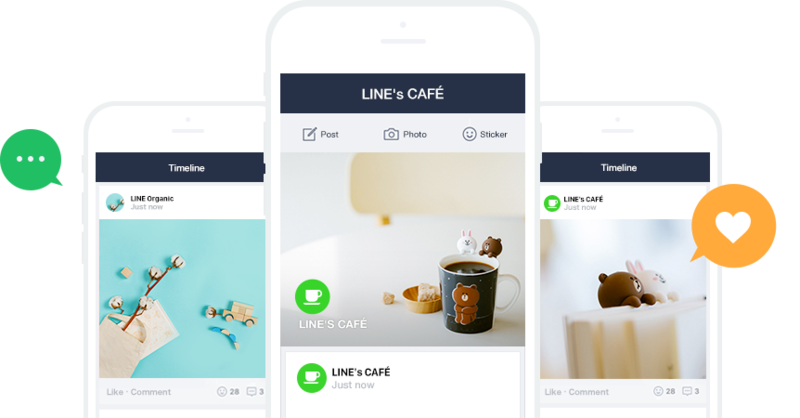 Post messages to the Timeline feeds of your LINE friends. The ability to like or add comments lets you maximize Timeline's potential for communication.